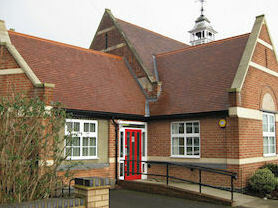 St. Joseph's is a Catholic Academy located in the beautiful town of Market Harborough. We serve the parish of Our Lady of Victories, in the Diocese of Nottingham. St. Joseph's is at the heart of the local community and we are proud to have strong links with the parish, an extremely active PTFA and dedicated Governors. We are a one-form entry primary school and currently we have 213 children on roll. The school is an extremely welcoming and supportive environment where all members of our school community are respected and valued. Through this joint commitment, we welcome new members to our school to grow and work in the love of Christ as we live out our mission statement to 'Believe, Achieve, Succeed'. We take seriously our commitment to extended services for children and have a wide variety of extra-curricular activities and clubs on offer for children throughout the school. We are fortunate to have before and after school childcare facilities for parents who need provision. It is great for parents to know that their children are safe and cared for by people who share the school's mission. St. Joseph's is immersed in a creative curriculum that enables good academic achievement, but which is also creative and fun. The school has high expectations of behavior, through our procedures, children are equipped with life-long skills and self-esteem is raised. They also become aware of the wider community around them.